Have you heard of One Thimble? It is a fun e-zine filled with patterns, tutorials and sewing tips that you can download as a PDF file right to your computer. I was given a copy of the latest edition and asked to sew up some of the patterns inside. 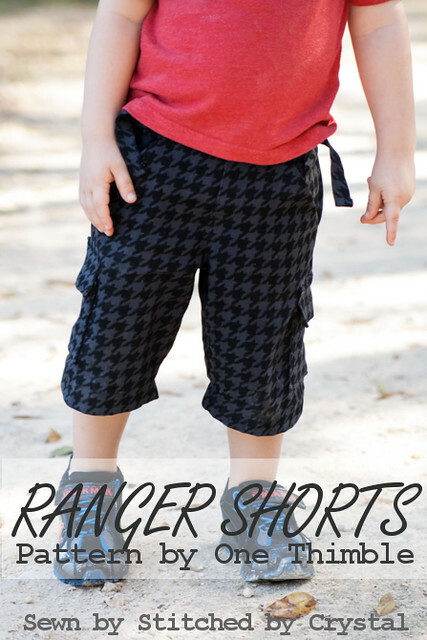 The magazine is 229 pages long and includes 9 printable patterns; these Ranger shorts are one of them. 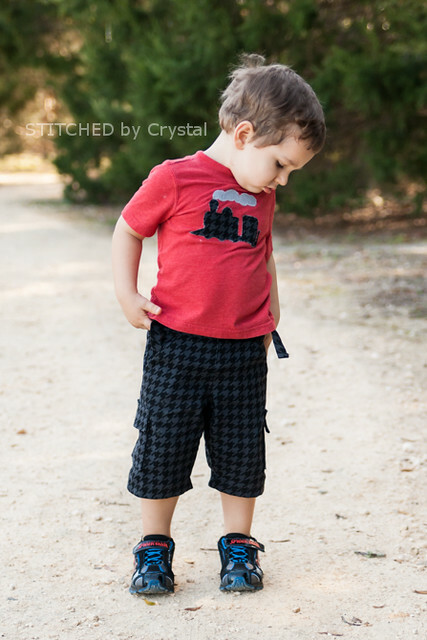 We pretty much live in shorts for most of the year so I usually sew my kids at least one pair for summer (like these, or these, or my favorite...these). 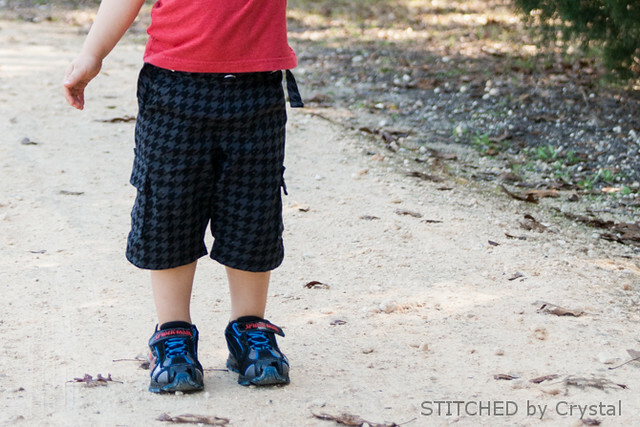 Kids shorts are so quick to sew and take just a little bit of fabric. A was so excited that I was sewing for him. I don’t do enough sewing for him; it is so hard to find good boys patterns out there. But these shorts are adorable! 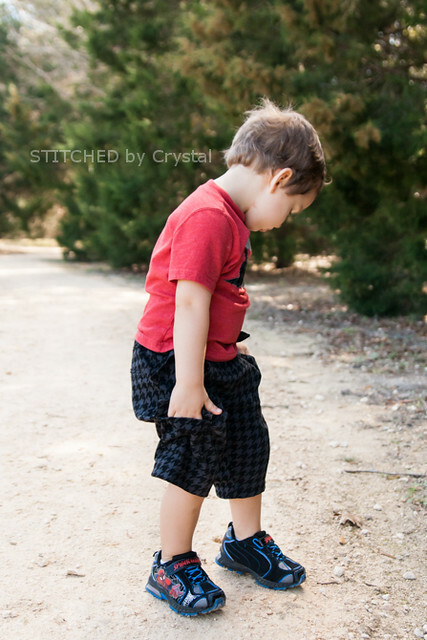 The pattern comes in sizes 2-8, they have a flat front and elastic back, and pockets…lots of pockets, probably his favorite part, he loves having somewhere to stash his rocks. 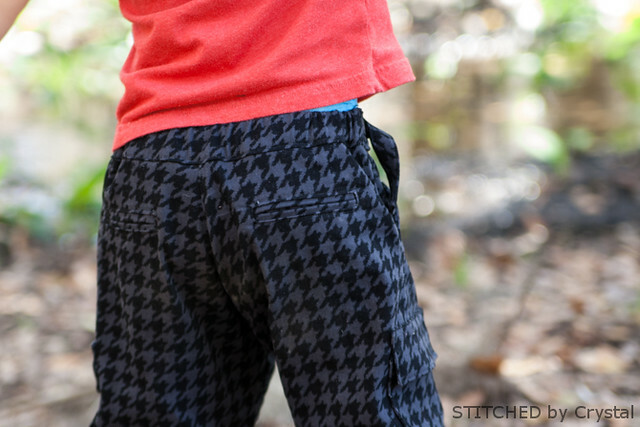 They have these cute welt pockets on the back, but these are just for looks. There are instructions for real welt pockets in the magazine but I opted for the fake ones. 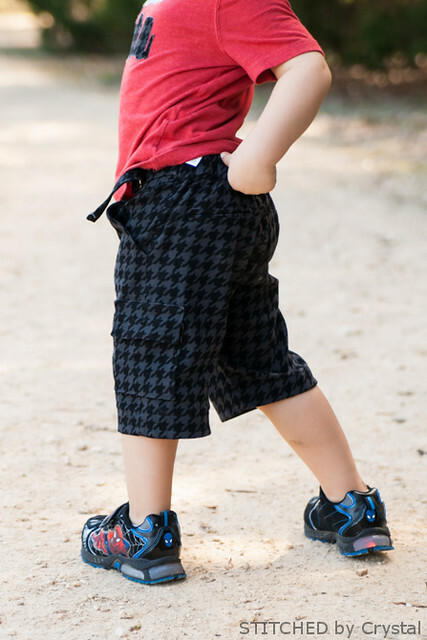 What does a three year old need back pockets for anyway? This kid is growing like crazy, his feet have grown 2 sizes in 2 months and he has completely skipped over size 3 clothing and went straight to size 4. 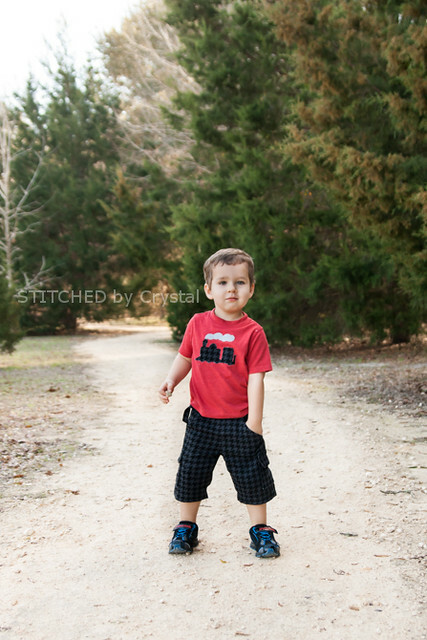 I made him these shorts in size 4 and the fit is great with some room to grow. 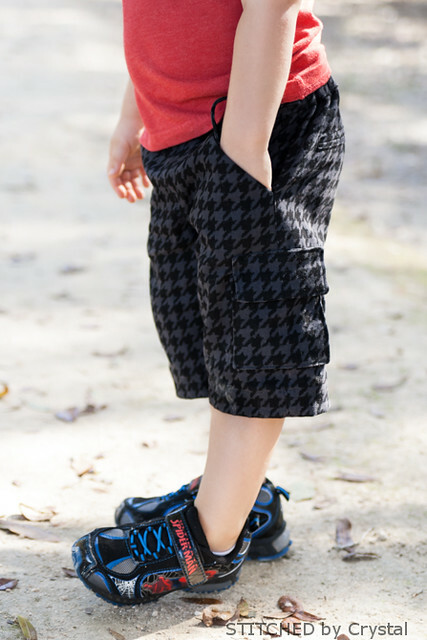 These shorts have a cool half belt on the front sides so I can snug them up when he is wearing them. I *hope* he will be able to wear these for a while, but who knows, at this rate he may be in size 5 next month! So fun! I think my 6YO might get on board with these! And the fabric is great! Thanks! They would be great for a 6 year old! I love this fabric and want shorts in it for me too! I need to shop for a women's shorts pattern.